Zootopia – movie review by Fred Patten. Zootopia, directed by Bryon Howard and Rich Moore; co-directed by Jared Bush; produced by Walt Disney Motion Pictures. 108 minutes. March 4, 2016. Zootopia has already been anticipated, seen, and covered more thoroughly than any other anthropomorphic motion picture in furry fandom history. We know that its theatrical release has stretched from February 10 in Belgium to April 23 in Japan. (Dogpatch Press has covered its furry fandom theater parties throughout the U.S. and in Brazil, Canada, Mexico, the Philippines, Russia, Singapore, and Sweden.) We know that it was originally intended to be released as Zootopia worldwide, but due to various legal reasons it has become Zootropola in Croatia, Zootopie in France, Zoomania in Germany, Zootropolis in Denmark, Spain, and other countries, Zveropolis in Russia, and Zwierzogród in Poland. It grossed $75,063,401 on its opening weekend in 3,827 theaters in the U.S. and $232,500,000 worldwide, breaking the records for the premiere of a Disney animated feature (Frozen with $67,400,000 in November 2013) and for any March animated feature (Illumination Entertainment’s The Lorax; $70,200,000 in March 2012). Its voice cast features Ginnifer Goodwin as Judy Hopps, Jason Bateman as Nick Wilde, and numerous others ranging from celebrity actors to professional voice actors, and including directors Howard, Moore, and Bush as minor characters. It debuted with a 100% rating on Rotten Tomatoes from 92 reviews. Disney reportedly hired at least one marketing agency to promote Zootopia to the furry community. 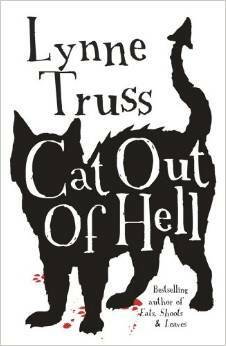 Cat Out of Hell, by Lynne Truss – book review by Fred Patten. London, Hammer Books, March 2014, hardcover £9.99 (233 pages), Kindle £4.31. As usual, this review lists the first, British, edition. American readers will find it easier to get one of the American editions (Melville House, March 2015). An unnamed narrator is writing from an isolated English seaside vacation cottage. His wife of many years has died; despondent, he quits his dead-end Cambridge librarian’s job and rents this cottage in an off-season winter month to wallow in grief. But it is too lonely, and he becomes bored. He has his laptop computer, and when a Cambridge ex-colleague e-mails him some lengthy mysterious text and audio files named “Roger”, he opens them. The first files relate to a screenplay about a talking cat that Wiggy is writing and is enthusiastic about selling. Roger is bored out of his mind. He doesn’t want to reveal himself to the public, and he is sure that Wiggy’s screenplay will be unsaleably bad. Different parts of the files explain how Wiggy acquired Roger (he was the pet of Wiggy’s sister, who has disappeared), and give Roger’s life story at length.